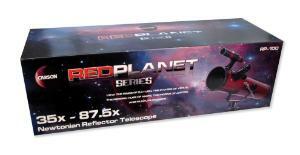 The Red Planet telescope features a large 76 mm diameter reflecting mirror to capture crisp, bright images with amazing detail. 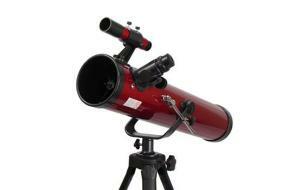 It has a 10 x 30 mm finder scope and two high-quality eyepieces, H 20 mm and H 8 mm, for optimum viewing. The H 8 mm erecting eyepiece flips the image right-side up, making it great for viewing both terrestrial and astronomical objects, such as the Rings of Saturn or the Moons of Jupiter. 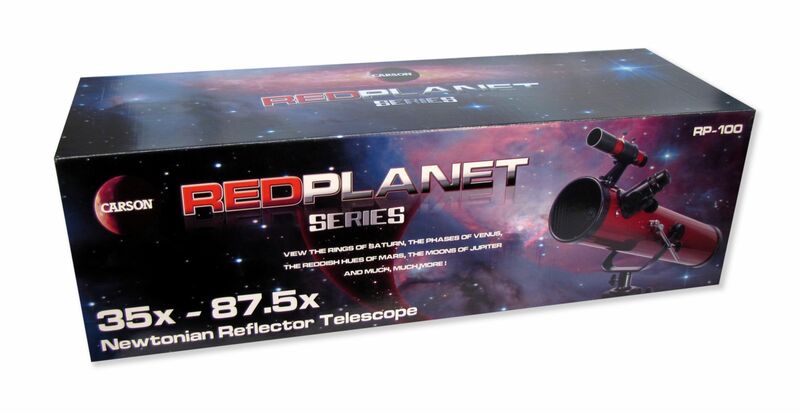 The telescope features a high-quality, heavy-duty aluminum tripod and U-Mount with slow motion controls to easily track specific stars, planets, and constellations.